Known for its rich history, Belton TX is located in the heart of Texas; and is the County Seat. Belton TX real estate offers a wide variety of entertainment and recreation choices; from shopping, dining, and the cinemas, to outdoor recreation at Lake Belton offering fishing, swimming, boating, and other water sports. Belton TX homes for sale have increased in demand, even in the face of the recent market downturn, with Fort Hood military base in close proximity many homes are in demand from military personnel seeking residence both being stationed and returning home. Kingdom Properties offers full service, turn key, real estate solutions for buyers and sellers of Belton TX homes for sale. Kingdom Properties has the knowledge, experience, and expertise you need to buy or sell Belton TX homes for sale with the results you need. 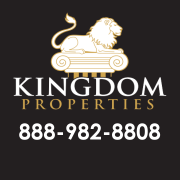 Kingdom Properties has dedicated its team to providing the highest caliber of customer service for all of their Belton TX homes for sale clients. Right now is the perfect time to buy Belton TX homes for sale, with the new $8,000 dollar tax credit for first time home buyers; the lowest interest rates in years, and the lowest prices for Belton TX homes for sale in decades. Belton TX homes for sale offer the investment opportunity of a lifetime, with a vast inventory of beautiful Belton, Texas homes available, contact Kingdom Properties today! Below are some featured homes for sale in Belton Texas. If you don't see what you're looking for, please use our MLS Search to view all Belton TX real estate listings.